Have you considered taking part in a virtual book tour to promote your book or e-book? Have you put it off because you're worried a virtual publicity tour might take too much time? It's true. There are a lot of ways these promotional events can waste time. But the biggest waste of time is to go through one and not attract new readers. 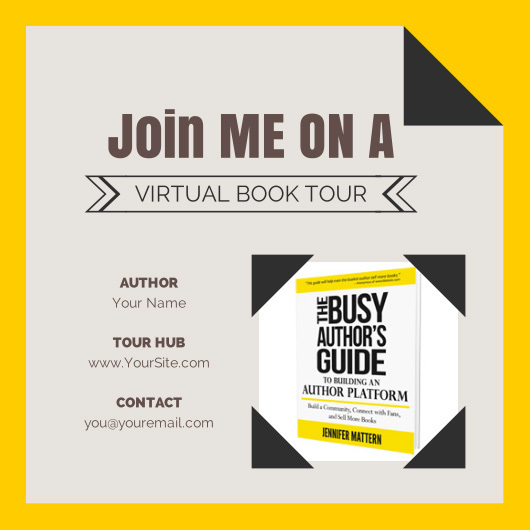 Fortunately there are some simple things you can do to run a more effective virtual book tour without wasting any of that all-important resource you'd rather sink into writing your next book. You're probably familiar with the general concept of a book tour. You visit bookstores, conventions, and other locations or events where you can meet your readers, sell some books, and possibly do signings. A virtual book tour is similar. It's all about reaching new readers and fans and connecting with ones you already have. But you do it from home (or your office, or wherever you prefer). I know, it sounds like these things would take a lot of time and effort to organize. But there are ways to cut your time investment without sacrificing the benefits of going on a virtual tour. Here are three ways you can make things a little less stressful while organizing your virtual book tour. The idea is to get your name out there, and keep it out there in front of your target readers for a set period of time. Any of these blog posts can help. Book reviews are ideal in that most of the burden falls on the reviewer, not you. Of course, that's the downside from your host's point of view. And bloggers can be asked to write a lot of reviews. Reading your book and writing a thoughtful review can take a significant amount of time. So if you want to pursue this, try to set up the reviews early. Give the reviewers plenty of time with your material. If you rush them, you'll just piss them off. You might still get a review out of it. But it might not help your cause. Being interviewed by a blog owner can be your next best option. Whether or not it translates into a direct recommendation from the blogger to his or her readers, at least you're getting a more personal introduction. You can help to speed this process up by setting up tour spots early (let's just get this out of the way -- it's the case for every type of blog stop you might pursue). Send the bloggers background material on you and your book. Do this after confirming that they want to interview you of course. This makes it easier for them to come up with thoughtful questions for you because they don't have to dig around online for the information. If the interview will be done via email, request that they send their questions at least a week ahead of time, and preferably more. This will give you time to space out your responses rather than cramming in several interviews a few days before your tour starts. These are posts that you write for another blog's audience. They should not be directly self promotional. At most the site might let you include a link or two in your bio, which normally appears at the end of the article. Guest posts can take a good bit of effort. But you can help things along by writing a few posts ahead of time. Have some blog hosts in mind, get a feel for their audiences, and write posts you think will be a good fit. You can send them along for consideration to save time on the back-and-forth (although if they have specific guest post policies published, you should generally abide by them). If a prewritten post is rejected, you can always pitch it to another site or publish it on your own blog for your readers. By writing guest posts early, you avoid having to cram a lot of extra writing time in while you're trying to organize other elements of your blog tour. If you really want to save time, see if any of your blog tour hosts are interested in publishing an excerpt of your book or e-book. They don't have to spend time preparing an interview. You don't have to spend a lot of time writing a guest post. And their audience gets a sneak peek of your book. This works best for nonfiction books, and you'll want to have several different excerpts available. Most bloggers won't be interested in publishing one that's already published online. They run the risk of being penalized in search engines if they publish "duplicate content," and they want something unique to their readers. Another way to save time when organizing a virtual book tour is to have an available list of hosts you'd like to pitch. Going on a last minute hunt is a waste of your time, and you risk targeting less qualified outlets when you're in a rush. For example, you don't want to send out last minute pitches to a local radio station that has never interviewed an indie author on-air before. You want to target outlets that are a good fit, which have worked with similar authors before, and which reach your ideal readership. Anything else is a potential waste of your time. Personally, I keep a simple spreadsheet with hosts I might want to pitch. For most of my nonfiction releases, I've stayed exclusively with blog tours. So I keep a list of bloggers whose audiences might have an interest in my e-books. I know many of these bloggers personally, being that I publish nonfiction e-books in the niche we all blog in together. When I meet new bloggers in the niche, they get added to the list. If you do something similar, it doesn't mean you're going to pitch everyone. But you'll have a pre-qualified list of prospects to discuss your virtual book tour plans with. Even more important than having a list is that you get to know the individuals (and technologies) on it. Don't agree to go on a radio show or podcast for example if you've never listened to the host. And don't pursue social media tour stops if you have no idea how the platforms work. A tour hub is a page (or even a blog post) on your own website. You'll use that page to highlight all of your virtual book tour appearances. If it's a post, you might even want to make it "sticky," meaning it stays at the top of your blog post list for the duration of the tour. Where a hub saves you the most time is in promoting your tour stops. While you should promote each individual host on the day of your appearance, a tour hub gives you something to promote each day that in turn promotes all of your tour hosts and appearances collectively. You make it easy for readers to find the latest tour information, and you promote all of your hosts more than you would on a single tour stop day. That might even make it easier for you to run another tour down the road, because you would have demonstrated that you actively promote your hosts. Those of us who host guests love that. Your tour hub page would also be an easy addition to your media page. The coverage you receive during your tour could cut your publicity-seeking time later by quickly showing bloggers and members of the media how you've handled yourself as a guest before. Can you think of other ways indie authors can simplify the process of setting up and participating in a virtual book tour? How have you avoided wasting time in managing your own tours? Share your tips and stories in the comments. 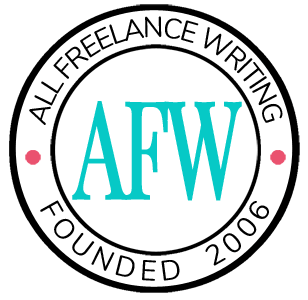 -Rely more on interviews and excerpts than on guest posts. Also, I wish I hadn’t done it after my very first release. It’s difficult to recapture the purchaser eyeballs a year later when the second book comes out. That’s always an option. Just remember that tours are largely about building relationships, especially when you’re a newer author. So make sure you don’t let someone else completely hijack that process. Those relationships pay off down the line when you want honest feedback, want to reach a host’s audience again, etc. I agree about minimizing guest posts. They’re great for one-off stops, but during a promotional tour, the time commitment can quickly get out of control. With giveaways, have you tried a few different strategies (shorter giveaway periods, giving away past work to promote the new work instead of giving away the new release, etc.?). They’re largely about trying to increase audience engagement on tour stops — basically what the host gets out of promoting you. If you’re promoting a later work in a series, I can certainly see giveaways of older material being more beneficial — giving people a lead-in to drive interest in the new book. All that said, I’d probably reserve giveaways for one-off stops and not for larger tours, only because running several giveaways at once dilutes any promotional value and it pits your tour hosts against each other for reader interest. It’s a fine line I suppose. The way that I dealt with the relationship building was to send thank you notes to each of the bloggers involved in the tour (hahaha, okay, only some because I’m lazy). The thank you mentioned that they should email me if they wanted the second book in the series (when it was ready) for review.